Here are some examples of photo strips with graphics on them. This should give you an idea of what your photo strips will look like. 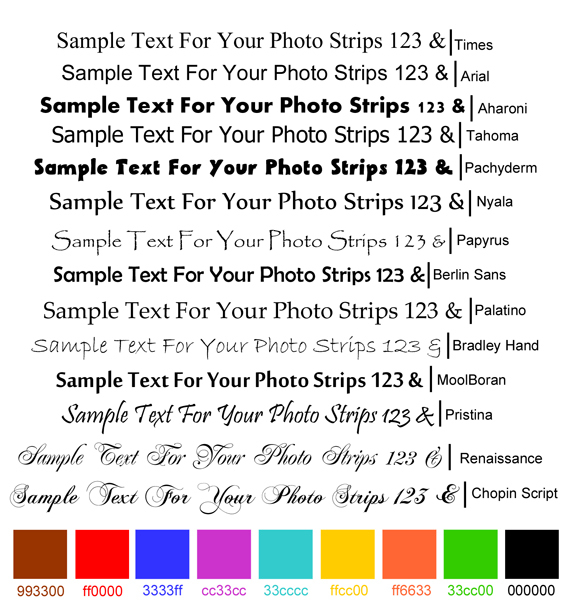 Each photo strip is 2" x 6", and the blank graphics area is approximately 2" x 1.75"
You are also welcome to provide a custom logo or artwork which can be use by itself, or in combination with custom text. Your artwork can be submitted in .jpg, .pdf, .png, or .tiff format. It should be at least 3" x 3", and 300 DPI. 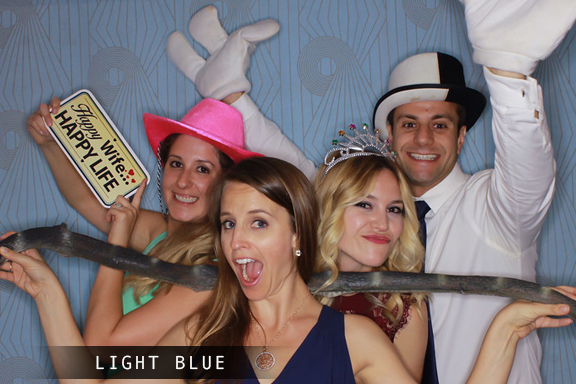 Please submit graphics and backdrop orders to tim@starlightphotobooth.com at least 2 weeks before your event.